Are you interested in starting your own call center business? Or would you prefer to just work for one? Does having the opportunity to choose the 30-minute intervals to work in and to mold your work around your family commitments sound appealing? You can do any or all of these if you decide to partner with Arise. 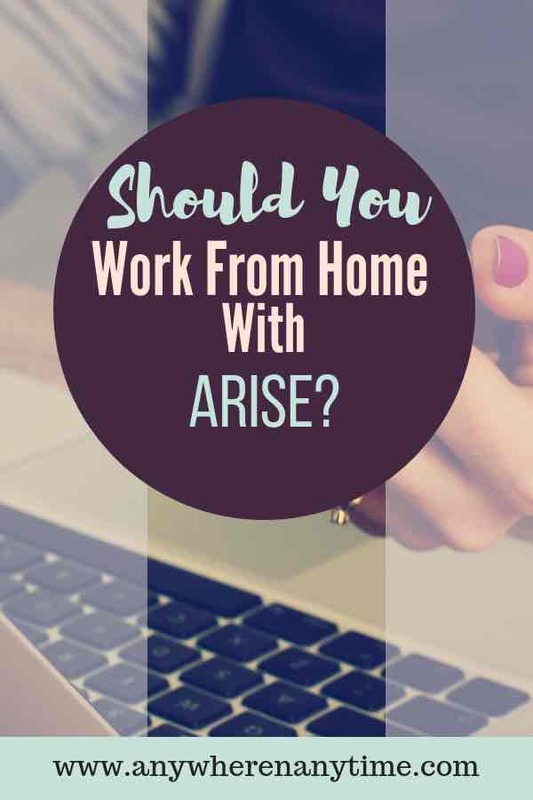 In this Arise work-from-home company review, you’ll get a basic idea about the company and the pros and cons of this work-from home career. Arise is a virtual call center tech platform that connects registered call center businesses and their agents to clients that include Fortune 500 companies. ● You can be your own boss. Since you are running your own call center company you are your own boss and have control over what work you want to pursue. ● Cost. There is a lot of costs both upfront and ongoing each month. Arise estimated start-up costs to be between $250 – $770 dollars depending on where you live. Once you’re set up, they anticipate a monthly cost of $125 which includes a $39.95 fee for using Arise as well as the cost of internet and phone. Then there is also the additional cost of certification course training, which you must pay for out of pocket. Given that on average you would make between $9 – $13 an hour, you’d have to put in a lot of time and work each month before making a profit. ● Limited Opportunities. While you do have complete control over when you choose to work, just like any other gig based company, how much you make depends on if there are clients looking for call centers during the times you want to work. It is the same as when an Uber or Lyft driver can work whenever they want but how much they make per hour depends on how many people want rides at that time. Unlike most work at home opportunities, Arise does not hire contractors they only work with state registered call center companies and their agents. You must either start and own a call center company or be an agent of one using the Arise platform. Since you must be a company or agent before working with the Arise platform, there are several start-up costs to consider. Arise also charges a lot just to get started, including the cost of a background check and certification training. How do you join Arise? 7. Set your own schedule, keeping in mind that hours are “first come, first serve.” You will view Opportunity Announcements that detail what the client is looking for including hours, make sure they align with the hours you want to work. Partnering with this company is ideal for those wanting flexibility and control in their work. They specifically mention this work being well suited for work-from-home moms. The servicing intervals start at just 30 minutes, making it easy to squeeze them in between all your other responsibilities at home. According to Arise’s website you can expect to make between $9 – $16 per hour. However, some research online shows that most average between $9 – $13 per hour. If you are your own company, Arise distributes payments twice a month. As an agent, your payment schedule would depend on the company you work for and their payment plan. Depending on the client, revenue can be earned various ways including per minute, per chat, per e-mail, or per call. Arise and the clients it connects you with will require you to take various certification courses that you must pay for yourself. Arise communicates with its partners through e-mail, chat, and online informational sessions, meaning you can’t just pick up the phone to get some help. They do let you know the best time to contact them is from 8:00 a.m. – 12:00 a.m. M-F.
Arise also has a Platform Resources section available on their website to help navigate any issues or questions. While there are no specific education or skills required, you do have to pass a skill assessment test and go through their certification courses. Learn more about the equipment and system requirements. While you can make money partnering with the Arise platform, it is best for people who are in it for the long haul. From other reviews, including those on Glassdoor the biggest issue people have working with this company is their requirement that you pay for the required certification courses. 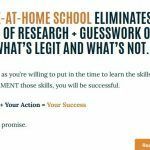 There are definitely other work-from-home opportunities available that are easier to get started with and have fewer upfront costs. Verdict: It is a legitimate anywhere anytime job/career, but you’ll want to read the fine print closely to make sure it is the right fit for you.